Music is all around us — some good, some not so good, but always available. The car radio, smart phones and iPods, any elevator in any building, the “shopping soundtrack” in stores; we can’t avoid music’s influence on our daily lives. We don’t have to be passive “victims” of whatever music others choose to play for us. As active listeners, we can use music to make the day better, make work seem easier and faster, and reinforce our moods. 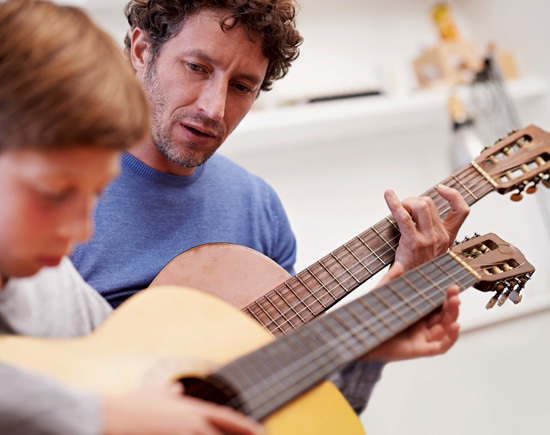 To become active listeners, it’s helpful to understand how music affects us and how we can use those effects to our advantage. Rhythm is inescapable. The heartbeat is a rhythm; the human circulatory system, the respiratory system, and all our other systems function in a rhythmic fashion. When we get sick, it’s often because a rhythm is “off” — we live in a constant set of rhythms that complement each other. Is it any wonder that a beat can either thrill us or make us feel uncomfortable? Think about that car or truck passing by with a bass drum vibrating the windows, entirely too loud. How often does that phenomenon make us dance? We’re more likely to be annoyed. It’s an unwanted rhythm that offsets the rhythms we’re experiencing. Just walking down the sidewalk carries its own “beat” that’s easily interrupted. Music Therapy utilizes rhythm to help mentally and developmentally challenged people deal with their conditions; the Remo drum company has a therapy arm called “HealthRhythms” that offers workshops in drumming for the handicapped that improve thinking skills, mood, and general functioning. In essence, drumming can help the handicapped reset their rhythms a bit, or establish rhythms that resonate with their own experiences. The same techniques can work for anyone. While you read this, tap your foot. Establish a rhythm that feels comfortable for you. Then, maybe tap a hand on your leg, building on the rhythm you’ve started in your foot. It feels pretty good, doesn’t it? We don’t have to be professional musicians to benefit from a well-placed rhythm; in fact, dancing is nothing more than moving the body to a rhythm that feels comfortable. It’s when we stop thinking about getting the rhythm “right” and let our bodies move that we enjoy the experience. Yet rhythm is only the tip of the iceberg. Local bars and restaurants come alive on Karaoke nights, often standing room only. Why is Karaoke so popular? Because it provides an opportunity for amateurs to “play pro” for a few golden minutes. Singing a favorite song in public, even if the performance is less than perfect, is an adrenaline rush and an ego boost. That’s what makes it fun. Hitting that high note or getting that one lyric just right is exciting; professional musicians have those moments all the time. It’s exhilarating to have just one after a long day of mundane work. Melodies are memory triggers. Think about your favorite songs; more than likely, the melodies come immediately to mind. Songwriters count on that. A catchy melody (which professionals call a “hook”) sticks with us. We remember it, we hum it at work, we sing it in the shower, and we pay good money to have a copy around when we need it. A good melody, regardless of musical style, makes us feel good. It connects us to the content and the emotion of the song. Add a good lyric, and the memory is undeniable. Many people can’t remember their own phone number, but they can sing a dozen songs off the top of their heads. That’s how powerful music can be. 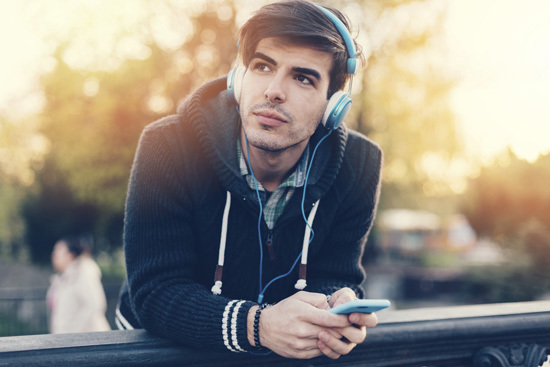 Sad songs can often give us something to commiserate with during a bad day, but maybe some high-energy dance music or crunchy metal would help release those negative feelings instead of letting us wallow in them. YouTube and other outlets offer a treasure trove of different styles and influences. Why not check out some African tribal drumming, or Indian classical music? Or, if you only listen to Country, try something harder and heavier, or some light, lush New Age music. We tend to identify pretty heavily with lyrics; often, listening to music without words enables us to put our own “lyrics” to the sounds and textures we hear. Instrumental music, from jazz to World Music and beyond, offers a more open listening experience we can use to express our feelings. Say there’s one song you really enjoy. Most of us focus on the vocals and the lyrics and don’t think much about the rest of the music. Try focusing on the drummer’s rhythms or the bass player’s accompaniment. How does just the guitar or keyboard part make you feel? 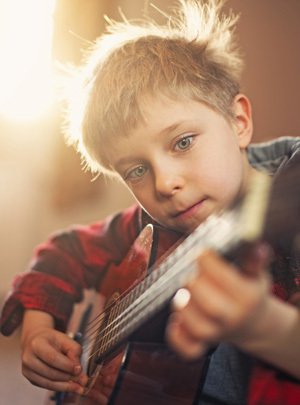 Isolating one or more elements of a song can awaken the analytical part of the brain, resulting in something similar to working a crossword puzzle or Sudoku, with no pencil and paper necessary. There’s certainly nothing wrong with being a passive listener, letting the music flow over us and have its way with our emotions. But getting more active, feeling the interplay between our natural rhythms and those in the music, and being aware of the way the music makes us feel can be very therapeutic. We can tailor our music to intentionally change our environment every day, if we choose to. 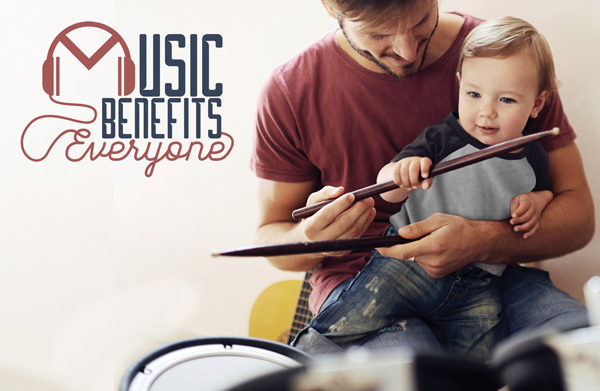 Everyone has a personal soundtrack; why not make your own soundtrack overwhelmingly positive, helpful, and useful for your daily activities? Life is stressful enough without having to deal with negative sounds. There are so many songs and styles of music we’ve never experienced because we get stuck in a rut. An open-minded attitude toward music (“Why do so many people seem to like that? Is there something I’m missing? Maybe I’ll take a listen”) could reveal some tunes that could make your soundtrack, and your life, more vibrant.